There were 706 press releases posted in the last 24 hours and 153,523 in the last 365 days. 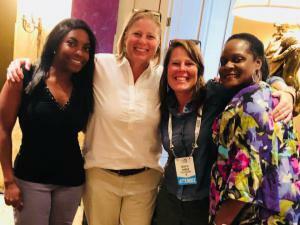 HER TURF captures the strides women have made as officials, and the progress they are making in the profession of officiating. DENVER, CO, USA, April 10, 2019 /EINPresswire.com/ -- Females have been officiating on the football field since 1990. 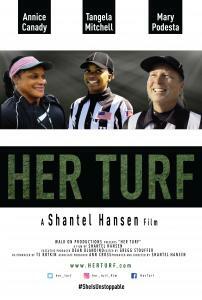 Colorado filmmaker Shantel Hansen, director, and producer of Her Turf filmed three female football officials to tell their story for the very first time. From 2015 to 2018, Hansen shot this unique cast, in six different locations. FOX Sports Analyst and former Vice President of NFL Officiating, Dean Blandino serves as Executive Producer. Blandino is joined by Producer TS Botkin and Associate Producer Ann Cross to round out a talented crew. This ground-breaking documentary was selected to premiere at the 5th annual Artemis Women in Action Film Festival, April 25 – 28, in Santa Monica, CA. The cast, Director and Executive Producer will attend the Festival, host a Q&A, and screen the film during the event. The timely and engaging film features Annice Canady, Tangela Mitchel, and Mary Podesta. Annice Canady from Ft. Lauderdale, Florida started officiating football in 1990 at the youth level. After battling cancer three times, she made her collegiate debut officiating for the NCAA in 2001. In 2002, Canady was the first female official to work an NCAA Division I football game on August 31, 2002. Tangela Mitchell has the “it” factor in officiating; she is ambitious and talented. She keeps a level head during moments of physical and emotional adversity; is an integral part of every play. In 2013, Tangela Mitchell was one of four females to officiate in a SIAC football game. Mitchell continues to prove she has what it takes to officiate in the NFL. Mary Podesta’s storyline brings some lightness to the gravity of Annice and Tangela’s journeys. Working full-time as a physical education teacher in California, Mary officiates for the love of the game. Her perspective is a refreshing contrast, downplaying the obstacles women face. However, through her optimism and moving quotes, the hurdles remain in the undercurrent. These women reveal the struggles and triumphs of excelling in traditionally male-dominated roles. By their very presence, these three women are opening doors for those who will arrive after them. 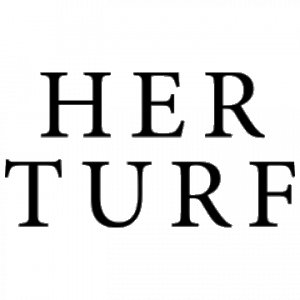 Her Turf is a timely and potent documentary, which follows three pioneering female football officials as they boldly attempt to level the playing field. As these officials change preconceived ideas about women excelling in a traditionally male role, this film will spark more in-depth conversations about gender representation in team sports. Buffs4Life launches new website focused on mental health and fundraising to aid former athletes and coaches in need.